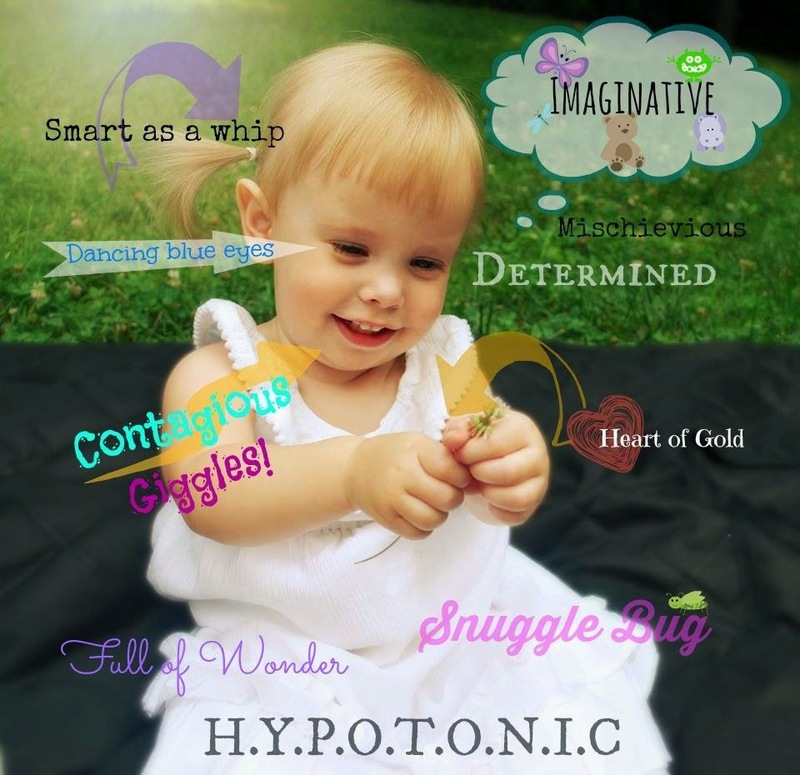 Crazy Cakes and Eskimo Kisses: Our Hypotonia Journey - What is Hypotonia? The other day, I typed the word "hypotonia" onto a blank page in Microsoft Word. A red line appeared under it. A sign of an error. A typo...according to my computer. And each time I typed "hypotonia" into that document, another blasted red line appeared. Glaring at me from its spot on my computer screen. Taunting me, as if to add insult to injury. Reminding me that to much of the world, including my computer, the word "hypotonia" has little to no relevance. But hypotonia is real; very real in my world. That is why I began to share our story - our hypotonia journey - with the hope to raise awareness and the goal to make the word "hypotonia" very real to the rest of the world too. It is the reason I write. Hypotonia is low or decreased muscle tone. It does not mean Ceci is weak. In fact, she is extremely strong and has a mean right hook...just ask my nose. Instead, hypotonia means that her muscles stay relaxed more than what is considered typical, and because of this, each movement Ceci makes is a fight against gravity. It is very real, and that is why I write. Hypotonia means that Ceci will experience gross motor delays; crawling and walking were skills she obtained later than most of her peers. It does not mean that she will always struggle nor does it mean that she does not experience amazing success. In fact, in our family, hypotonia means we celebrate inchstones instead of milestones. It means we do not take one accomplishment for granted. It is very real, and that is why I write. Hypotonia is a date with doctors and therapists: Developemtal Pediatricians, Geneticists, Neurologists. The list goes on and on. It does not mean we live at the hospital though. It means weekly therapy and high-fiving when we get to cross another specialists off of our "Yearly Follow-Up" list. It is very real, and that is why I write. Hypotonia is a constant lesson in perseverance, determination, and faith. I write with the goal to heal myself as I journey through the murky waters of this diagnosis. I write to educate people on the reality of hypotonia. I write with the dream of instilling passion and compassion into others. I write to you, from a mother's heart, knowing that my child is different from yours, and fully aware that someday her differences may be noticeable to your own children. I write because I know that there will come a day when I will be unable to write anymore - a day when I will not be around to explain Ceci's disabiltiy to others. A time when I will cease to be. And when that day comes, I write this to ask one thing of you: Please be there to encourage her and support her and tell her how much potential she possesses - how much beauty and good she has to give to the rest of the world. And above all else, please love her. Ceci is amazing and determined. Lots of her will comes from having you as an amazing mom. Your girls are so lucky to have you.